Washington, DC, August 11, 2018: U.S. Citizenship and Immigration Services (USCIS) has published a revised final policy memorandum related to unlawful presence after considering feedback received during a 30-day public comment period that ended June 11, 2018. Under the revised final policy memorandum, effective Aug. 9, 2018, F and M nonimmigrants who fall out of status and timely file for reinstatement of that status will have their accrual of unlawful presence suspended while their application is pending. On May 10, 2018, USCIS posted a policy memorandum changing the way the agency calculates unlawful presence for those who were in student (F nonimmigrant), exchange visitor (J nonimmigrant), or vocational student (M nonimmigrant) status. The revised final memorandum published today supersedes that memorandum and describes the rules for counting unlawful presence for F and M nonimmigrants with timely-filed or approved reinstatement applications, as well as for J nonimmigrants who were reinstated by the Department of State. On Aug. 7, the Department of Homeland Security announced the release of the FY 2017 Entry/Exit Overstay Report. The estimated total overstay rates were lower in FY 2017 for F and J nonimmigrants, but the F, M, and J categories continue to have significantly higher overstay rates than other nonimmigrant visa categories, supporting the need to address the calculation of unlawful presence for this population. For purposes of counting unlawful presence, a timely reinstatement application for F or M status is one where the student has not been out of status for more than five months at the time of filing. Under the revised final policy memorandum, the accrual of unlawful presence is suspended when the F or M nonimmigrant files a reinstatement application within the five month window and while the application is pending with USCIS. If the reinstatement application is denied, the accrual of unlawful presence resumes on the day after the denial. It is incumbent on the nonimmigrant to voluntarily leave the United States to avoid accruing more unlawful presence that could result in later inadmissibility under section 212(a)(9) of the Immigration and Nationality Act. Whether or not the application for reinstatement is timely-filed, an F, J, or M nonimmigrant whose application for reinstatement is ultimately approved will generally not accrue unlawful presence while out of status. The Department of State administers the J-1 exchange visitor program, to include reinstatement requests. 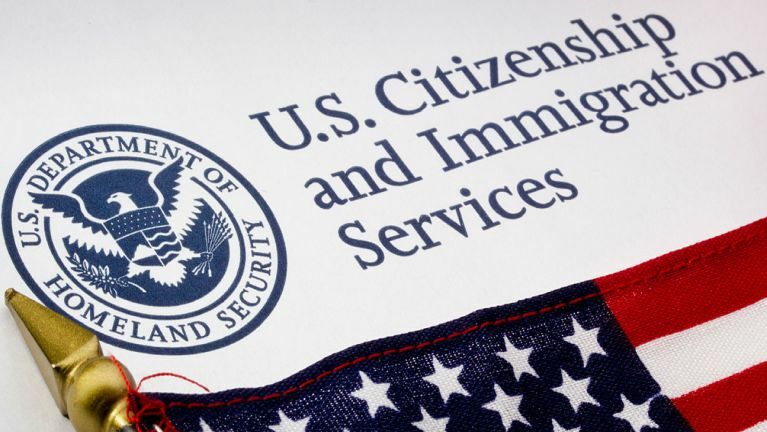 If the Department of State approves the reinstatement application of a J nonimmigrant, the individual will generally not accrue unlawful presence from the time the J nonimmigrant fell out of status from the time he or she was reinstated. In addition, the revised final policy memorandum corrects references to the Board of Immigration Appeals issuing orders of removal in the first instance. USCIS will host a national stakeholder engagement regarding this policy memorandum on Aug. 23. Submit your email address to the USCIS Public Engagement subscription service in order to receive the invitation for this stakeholder engagement. Additional information on the policy memorandum is also available on the Unlawful Presence and Bars to Admissibility page. For more information on USCIS and its programs, please visit uscis.gov or follow us on Twitter (@uscis), Instagram (/uscis), YouTube (/uscis), and Facebook(/uscis).